Jim and I always loved Halloween - it's the only time of year when people don't stare at us and think we are dressed strangely. And, having raised five kids between the two of us, we have a lot of Trick-Or-Treating under our belts (yes, that Halloween candy may have added some to our expanding middle-aged girth as well). At any rate... here are some of our favorite Halloween Costume Ideas using Duct Tape. For even more than what's listed here, check out our Halloween Costume Video - just click on the graphic below. (above left) Dress entirely in pink and duct tape a shoe to your head - go trick-or-treating as used bubblegum. 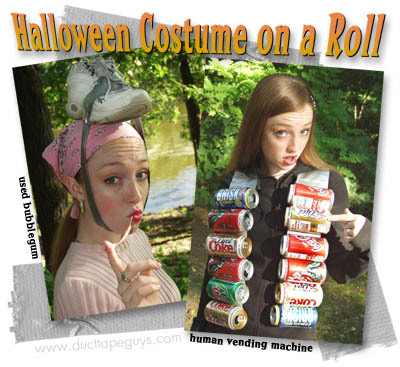 (above right) Duct tape pop cans to yourself and go as a "Human Vending Machine." BEFORE YOU GO ANY FURTHER, CHECK OUT THIS RIDICULOUS MULTI-BOOK DEAL! Duck tape a small child or midget to your back and go as a "hunch-backed-two-headed guy." (If you can’t locate a child or midget, decapitate a department store mannequin, duck tape its head to your shoulder, and go as "The Thing with Two Heads"). 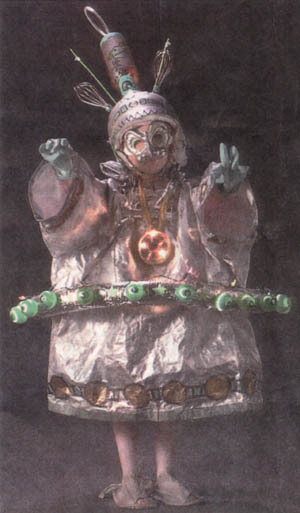 Modern Metallic Mummy: cover yourself head to toe in duck tape and speak in inaudible groans. Feeling old fashioned? Go with white duck tape. 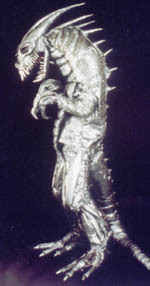 "Wizard of Oz" Tin Man: Simply follow the instructions for the mummy costume but don’t duck tape over your face. Instead, put a funnel on top of your head and carry around a duck tape covered oil can and axe. Duck Tape Man: Use duck tape to fashion a mask and cape, cover an old pair of tights (or long johns) with duck tape for the pants, make a big duck tape "D" on the front of your shirt, and break the ice with other party goers by sticking a swatch of duck tape on everyone you meet! The Human Shower: Don a raincoat, then use an old broomstick to help duck tape a Hula-Hoop over your head. Add showerhead and shower curtain to the Hula-Hoop. Wear something pink or minty green, Duck tape a shoe to your head, and go as "Used Bubble Gum." Duct tape yourself sticky-side-out and stick popcorn and candy wrappers all over your body - you can go trick or treating as the floor of a movie theatre! Take the lid of a shoe box, cut a one inch by six inch slit in the middle of it and tape it to your head so your eyes look out of the slit. You are now the bouncer at a speak easy! "What's the password?" 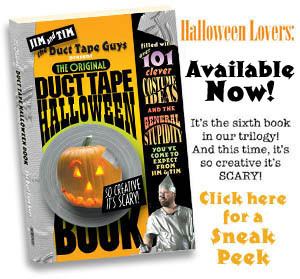 Duct Tape yourself to your best friend (or spouse - or both as the case may be) and go to the Halloween Party as Siamese twins. Black pants and a black turtle neck with white duck tape ?bones? makes a quick and easy skeleton costume. Or, use silver duck tape to make a "Terminator" skeleton. Duct tape your head sticky-side-out and roll in freshly mowed grass: Presto! You're a Chia Pet! Duck tape mirrors all over yourself. You will either look like The Invisible Man or like everyone else at the party. Duck tape two boxes to your shoulders tall enough to match the top of your head. Pull a turtle neck over them, and put on a sport coat. You are now "Headless Guy." Duck Tape Biker: Cover your pants and jacket in black Duck tape, Duck tape a set of handlebars into your hands and your “Ol’ Lady” to your back. A black or brown Duck tape toupee (complete with “duck tail” flip in the back) looks like totally greased-back biker hair. (Dads of teenagers will relate to this costume idea.) Cover yourself with silver Duck tape and hang a twenty dollar bill out of your mouth. Presto! You've become the Human ATM! 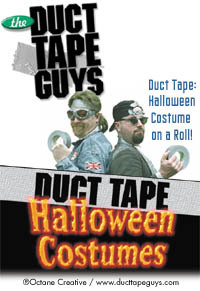 The Duct Tape Guys are so media savvy it's downright scary! Book them now for next year's Halloween Week Show (or any season or reason). Click to our media prep area for more information. Click here to see our special media video that was sent to television stations in the promotion of the book. Read a review of our Halloween book from the St. Paul Pioneer Press (10/15/03). CLICK HERE for our halloween costume gallery pages. While you are at it, snap a photo of your costume and send it in to us. We'll post it in the gallery.